Moving house is a hectic phase in anyone’s life in Melbourne. This is particularly true if you are going to move out of a rented property. The actual stress is all about returning the property to the landlord in the same condition as you found it when you first moved into it. Everyday Cleaning is your solution for end of lease cleaning in Melbourne. This phase of cleaning is perhaps the most essential bit of the End of Lease Agreement. Renters frequently lose out on their part of the bond amount mainly because of poor cleaning at the time of handing over the property. If you want a full refund of your bond amount, you can rely on us. Our professional cleaners are experts in construction cleaning in Melbourne and they are also one of the most dependable tile grout cleaners in Melbourne. Our staff carries their insurance with them along with equipment and a clearance from the National Police. When you are moving home after your rental agreement has expired, Everyday Cleaning will be able to help as we take the stress out of property cleaning. You will certainly experience no pressure when you move house once you entrust the responsibility to us. We will make sure that our cleaners cover the entire property so that you get your bond amount back. Everyday Cleaning provides extra services with your end of lease cleaning such as carpet cleaning in Melbourne and upholstery cleaning in Melbourne. We carry out steam cleaning while cleaning the carpets. We also undertake cleaning of external windows. You will find our rates competitive. We supply everything. 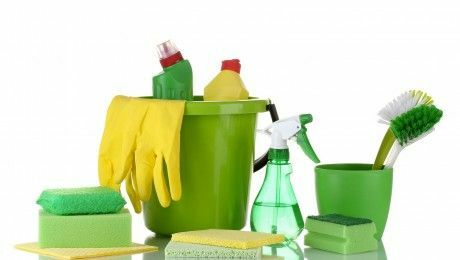 Our general cleaning services include removal of cobwebs, dusting, skirting of boards, wiping cupboards and sideboards and floor cleaning. Bathroom cleaning will include showers, sinks, toilets, floors, extractor fans, tiles and grout. Kitchen cleaning will include wiping of cupboards and bench tops, taps, sinks, degreasing ovens, stoves, range hoods, splash backs, tiles and grout. Customer satisfaction is high on our priority list. We are certain that you will get impressed with our cleaning services and the outcome of the tasks. Your property will look as good as new. We have many years of experience in cleaning properties at end of lease time. Everyday Cleaning will take care of all the lease cleansing needs. We handle all tasks, regardless of how small or big they may be. Call us today and book your appointment!